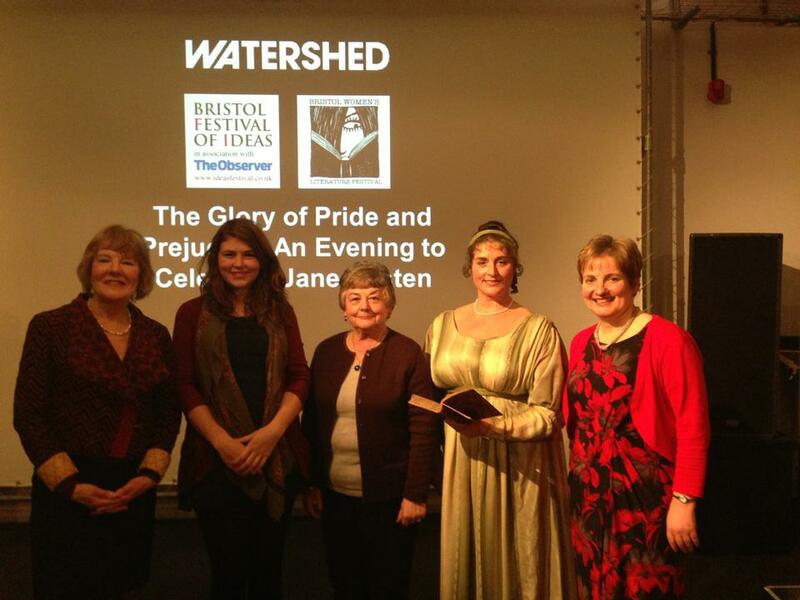 Thank you everyone who came last night to the Bristol Women’s Literature Festival event on The Glory of Pride and Prejudice. We planned to celebrate Jane, and we did! A huge thank you to Watershed and Bristol Festival of Ideas for their fantastic support and enthusiasm for the event and the festival itself. I couldn’t do it without them! And, of course, a massive thank you to our performers and speakers. 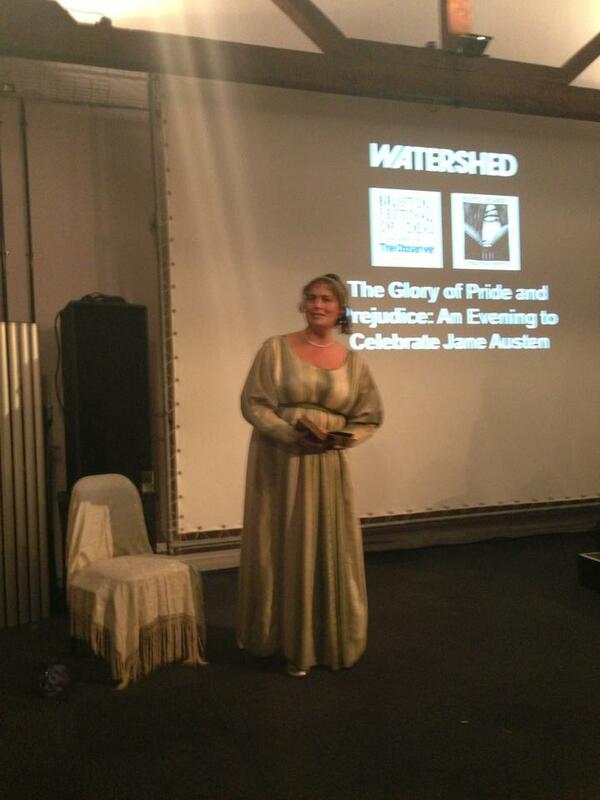 Kim Hicks for her inspiring and engaging performance of Pride and Prejudice. Professor Helen Taylor for being a wonderful chair and supporter of the festival. And Professor Jane Spencer, Jean Burnett and Tiffany Spencer for their exciting, interesting and thought-provoking talks. If all the chat of the Bad Miss Bennett has inspired you to discover more of Lydia’s adventures, then you can buy Jean’s book, Who Needs Mr Darcy. And if you would like to see Kim’s interpretations of Austen again, all her details are on her website. Finally, thank you to everyone who came to the event and who supports the festival. You make it happen! 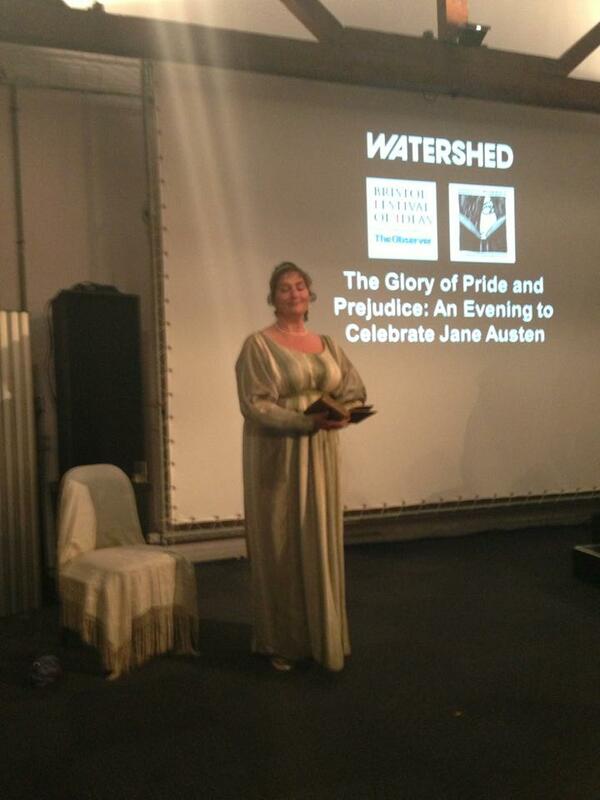 Tomorrow the Bristol Women’s Literature Festival will be celebrating one of Britain’s best-loved writers, Jane Austen. We’ll be joined by Professor Helen Taylor, Professor Jane Spencer, Jean Burnett, Tiffany Francis and Kim Hicks in a celebration of all things Pride and Prejudice. There’ll be a performance, a panel discussion and a movie. What’s not to love? You can book your tickets online, by calling Watershed 0117 927 5100 or by going to the Box Office. This event is a must for all Austen fans so come along and celebrate the glory of Pride and Prejudice! Have you booked your Austen tickets yet? 200 years since it was published, Pride and Prejudice still exerts its fascination on the public’s imaginations. Just what is it about this satirical and romantic novel that still charms and excites readers today? 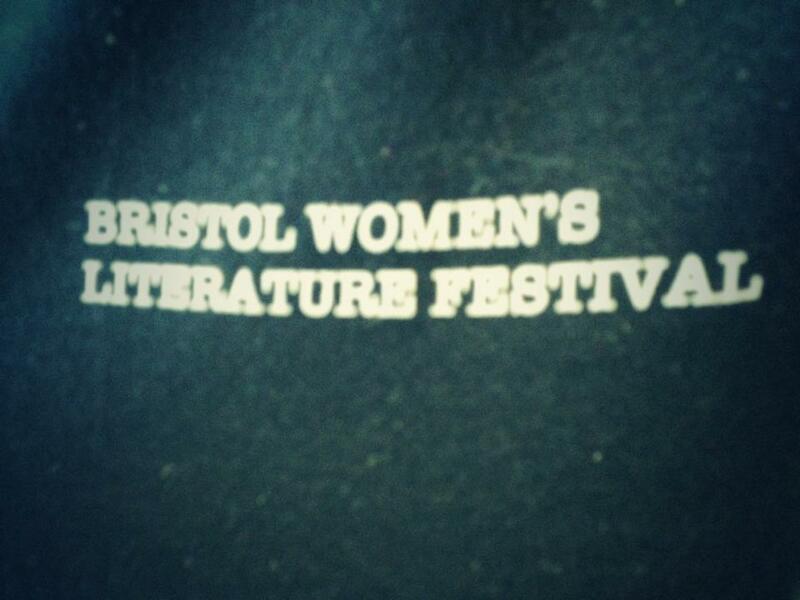 Find out with The Bristol Women’s Literature Festival at Watershed on Tuesday 26 November. Chaired by Professor Helen Taylor, this panel discussion will explore Austen’s lasting appeal and the misconceptions that have dogged her public persona. Professor Taylor will be joined by Jean Burnett, author of Who Needs Mr Darcy, and Professor Jane Spencer. We’ll also be inviting to the panel the winner of our very exciting competition for 16-25 year olds, to find the biggest, young Jane Austen fan in the UK, Tiffany Francis. The discussion will be introduced by a performance from actor Kim Hicks, and followed by a screening of the 2005 film of Pride and Prejudice. This celebration of one of Britain’s best-loved novels is a must for all Austen enthusiasts. The Bristol Women’s Literature Festival launched in March 2013 with real success. 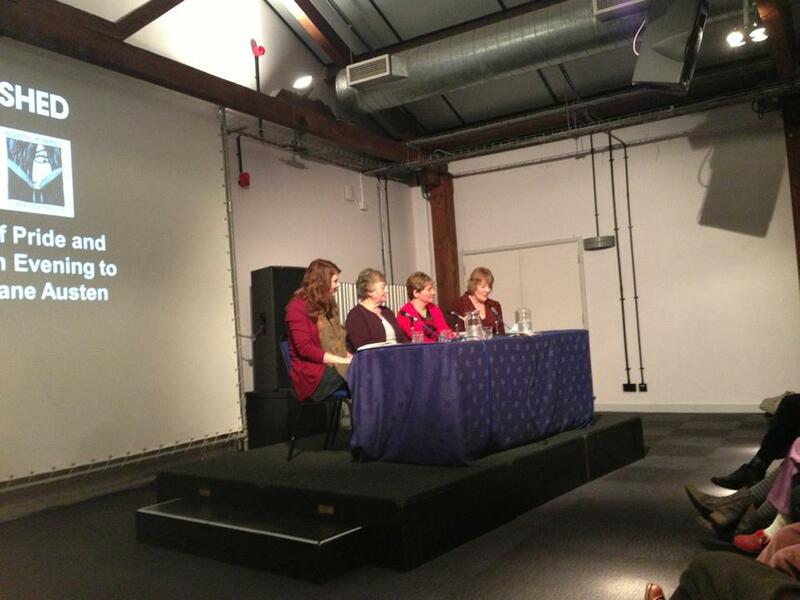 Audiences flocked to a series of panel events over one weekend, to see writers and academics discuss their work. Chaired by writer, journalist and broadcaster Bidisha, speakers included Stella Duffy, Helen Dunmore, Selma Dabbagh, Beatrice Hitchman, Emilia di Girolamo, Dr Marie Mulvey-Roberts, Dr Charlotte Crofts, Kristin Aune, Debi Withers and Josephine Tsui. 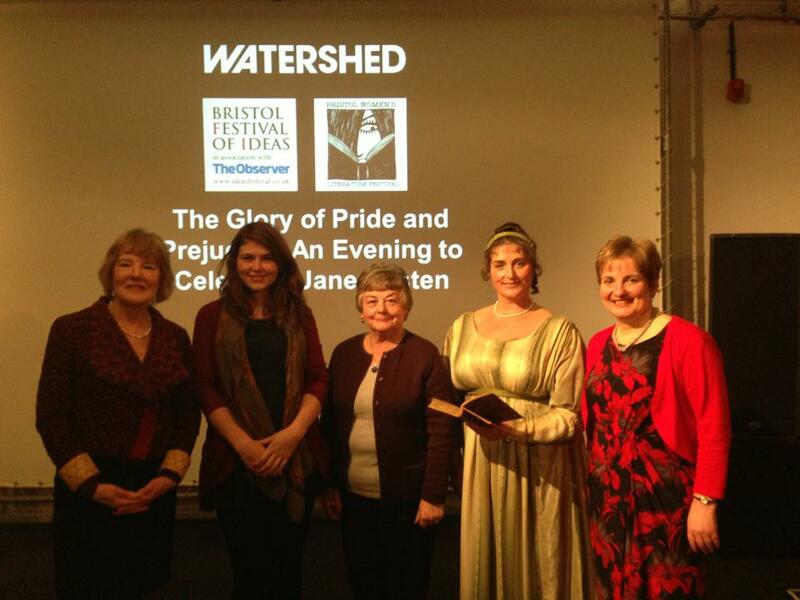 The Bristol Women’s Literature Festival is supported by Watershed and The Bristol Festival of Ideas. Who? Professor Helen Taylor, Professor Jane Spencer, Jean Burnett, Kim Hicks and our very special competition winner, Tiffany Francis. We were deeply saddened yesterday to learn that Doris Lessing had passed away. Lessing was one of the great writers of the 20th Century. Her books can often be painful to read in their searingly honest portrayal of human emotions. Even though she was often frustrated at being called a ‘feminist’ writer, she wrote truly about women’s lives. The Golden Notebook, The Grass is Singing, The Good Terrorist, The Martha Quest novels and of course her sci-fi Canopus in Argus series are all must-reads. But we must not forget her memoirs too. Under My Skin is fantastic in its knowingly self-conscious comments on the process of memoir writing. And it is painful, and funny, in its honesty about human relationships. Margaret Atwood and Lisa Allardice have already written beautifully on Lessing and her importance. 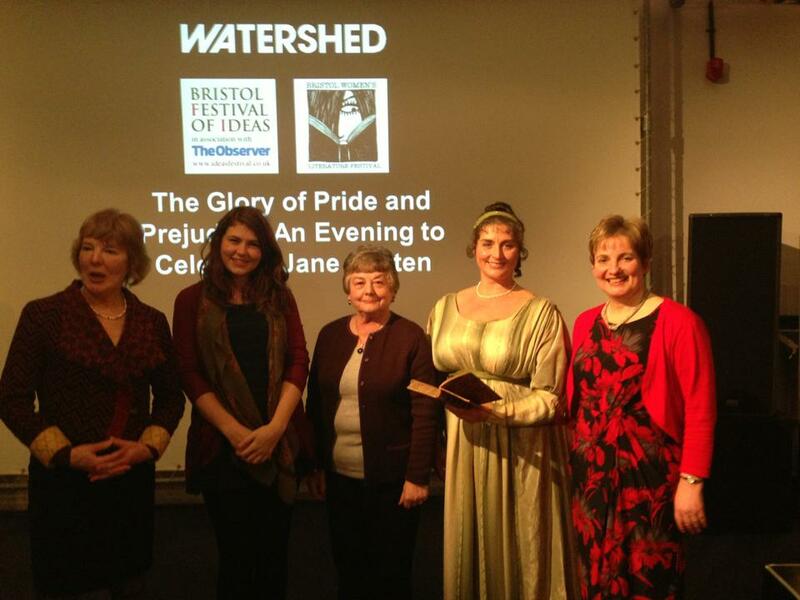 The next Bristol Women’s Literature Festival event is on Jane Austen’s Pride and Prejudice. You can book your tickets now. Love Austen? You’ll love this! There’s still time to get your tickets for the Bristol Women’s Literature Festival event, The Glory of Pride and Prejudice. 200 years since it was published, Pride and Prejudice still exerts its fascination on the public’s imaginations. Just what is it about this satirical and romantic novel that still charms and excites readers today? 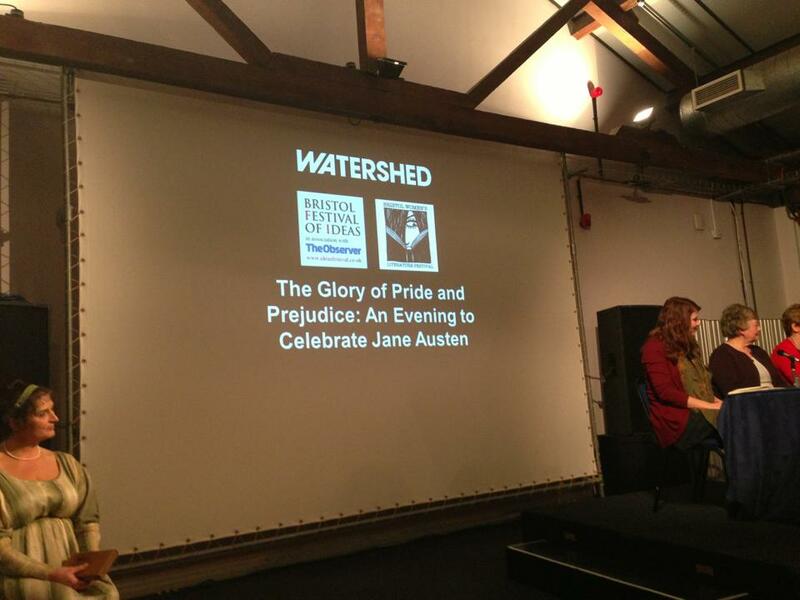 The Bristol Women’s Literature Festival invites you to join us at Watershed on Tuesday 26 November for an evening of conversation, discussion and enthusiasm to find out.